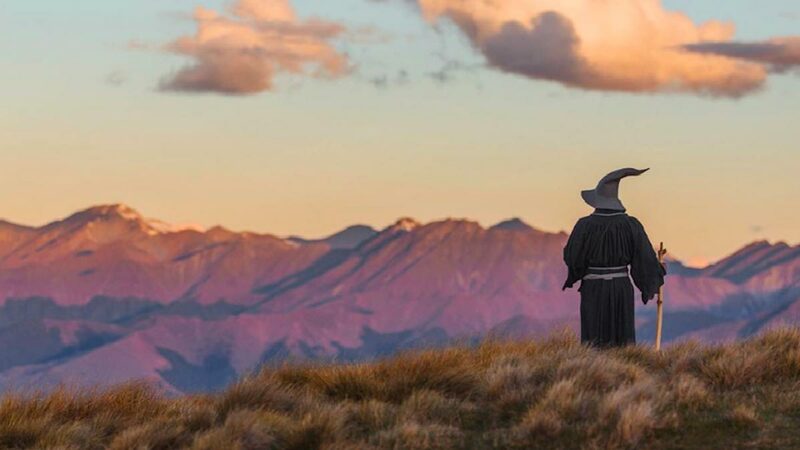 New Zealand is the only option when it comes to Lord of the Rings vacations. However, once you’re here, you’re spoilt for choice with the range of ways to discover the people, places, and pioneers behind Sir Peter Jackson’s big-screen reinventions of Tolkien’s masterpieces. We’ve previously blogged about the best LOTR and The Hobbit filming locations and some sweet as self-drive LOTR/Hobbit tours around New Zealand. Now, though, we reckon it’s time to relax a bit. 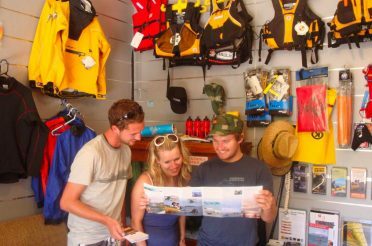 If you’re not keen to do it all on your own, here’s a few of the best NZ Lord of the Rings and The Hobbit package tours where you won’t have to worry about organising anything! We’ve focused on the big, do-it-all tours, though of course there are smaller tours you can do within each of these regions (keep your eyes peeled for a post on that in future). 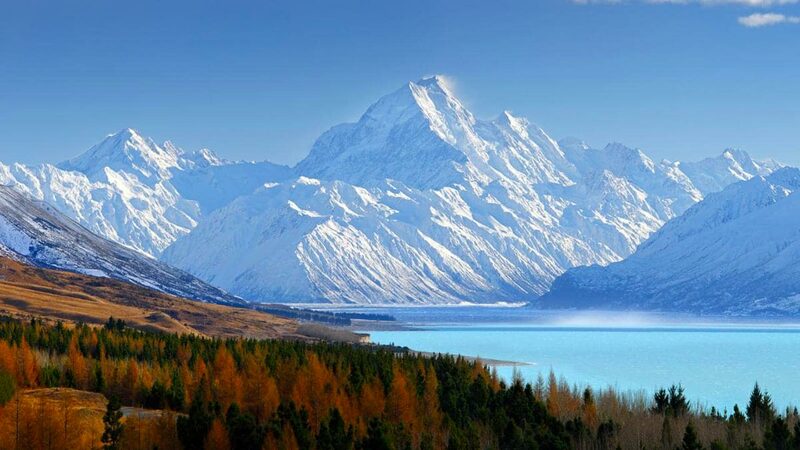 These comprehensive New Zealand Lord of the Rings tour packages account for accommodation and transport at every step, and in some cases catering. They start from either Auckland or Wellington, New Zealand’s biggest city and capital, respectively. 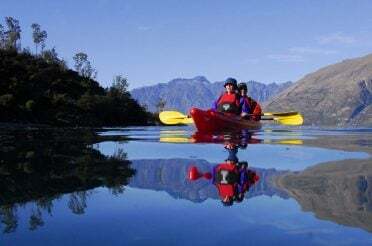 They finish in Auckland, Christchurch (NZ’s second biggest city and airport) or Queenstown, the South Island’s stunning adventure tourism playground and a major airport, so there are plenty of ways to get there and back again. All of the itineraries pack in plenty of Lord of the Rings sites, so don’t worry about that. 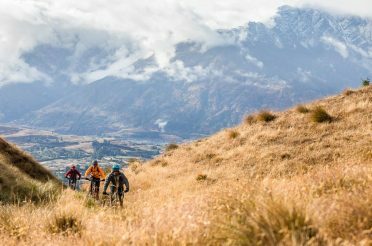 We’ll just try point out a few subtle differences between them, in case you’re having trouble deciding which New Zealand tour package to choose. Auckland – Waitomo – Rotorua – Matamata/Hobbiton – Wellington – Havelock – Blenheim – Christchurch – Methven/Edoras – Mt. Cook National Park – Queenstown – Mount Aspiring National Park (Isengard, Lothlorien, Amon Hen) – Auckland. 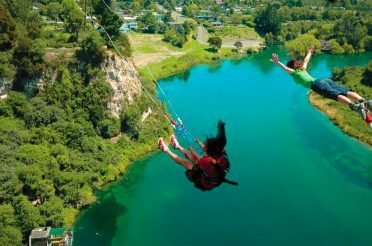 If you want a touch of city tour thrown in with your Middle Earth off-road adventure, this is a choice as tour for you, because this Lord of the Rings vacation package offers a wicked time in Auckland. You stay right in the heart of the city near Britomart and the Viaduct, and the package includes an unforgettable evening dinner cruise across Waitemata Harbour on the Pride of Auckland yacht. After that, you hit the road for an awesome two-week trip the next morning. 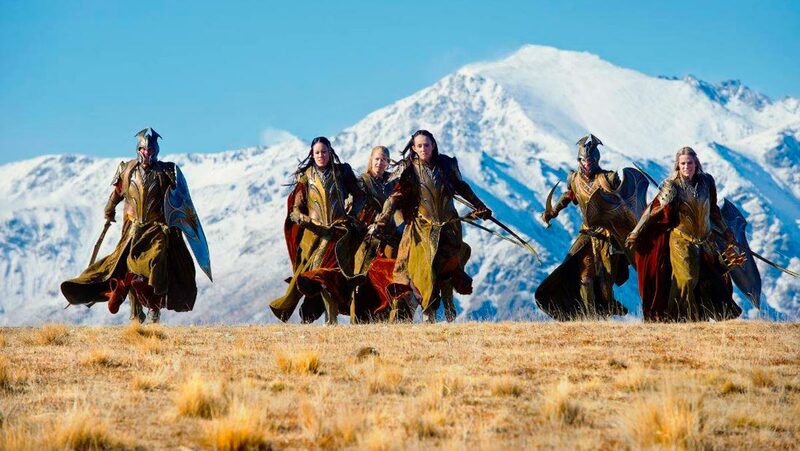 The Middle Earth New Zealand Tour Package is especially good for those who are fans of the Hobbit trilogy as much as (or more than) the Lord of the Rings. It’s a New Zealand-wide Hobbit tour package that takes in studio tours in Wellington, the Hobbit barrel run in Havelock, a visit to the Hobbiton film set, and a few non-Tolkien highlights including natural thermal valley hot pools! Worth mentioning straight off the bat: this tour lets you see adorable fur seal pups. Really though, the clue is in the title when it comes to figuring out what this tour is about. Chances are, if you have a location from Sir Peter Jackson’s films in mind, it’ll be on this tour. The volcanic landscape Sam and Frodo scramble across on the edges of Mordor and under fearsome Mt. Doom? Cheek. The tree stump where Frodo, Sam, Merry and Pippin ‘get off the road!’ to hide from a Black Rider? Check. The grassy hill where King Theoden stirs the Riders of Rohan and clangs their swords to begin the battle of Pelennor Fields? Check. The river on which Bilbo and the dwarves stage an epic barrel-bobbing escape with the help of Legolas and Tauriel? Check. 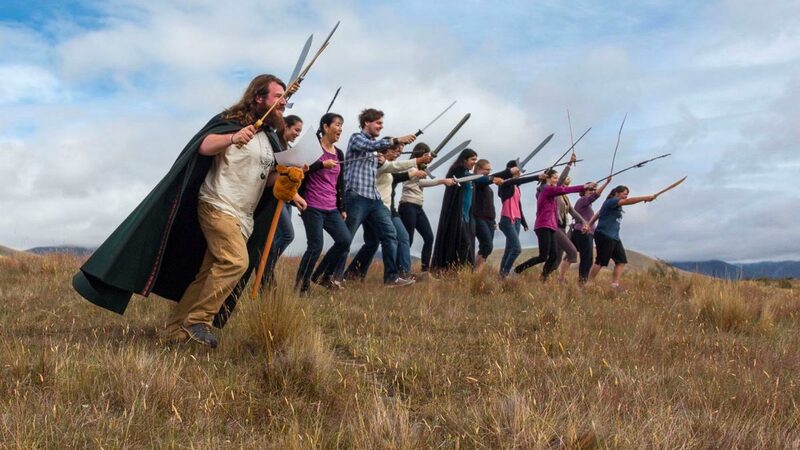 This Lord of the Rings vacation package throws in a few special events for movie buffs, too. You get a presentation day in ‘Wellywood’ talking with Daniel Reeve, an official calligrapher on the LOTR/Hobbit movies, as well as Mark Atkin, who played Thorin’s scale double in the films. 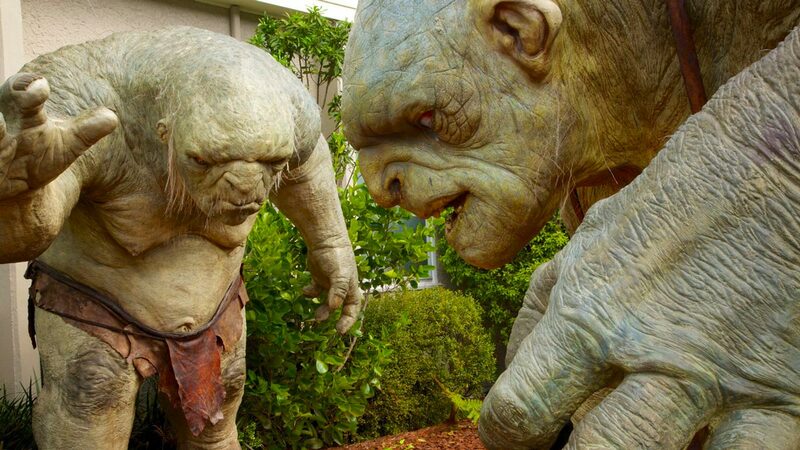 In Nelson, you can visit the studio responsible for forging the ‘one ring to rule them all’ – well, multiple versions of it used during filming. You can even get yourself a replica of it, not to mention other jewellery from the two trilogies. A big plus for this one is its focus on the wonderful South Island (no bias here of course). While a lot of tours, justifiably, just hit the big spots – Christchurch to Queenstown, taking in Central Otago and a view of Mt. Cook along the way – Tolkien’s New Zealand tour lets you see the less accessible, by no means less stunning, parts of the South Island. That means you spend a night at Mt. Cook Village (in serious comfort, too, at the gorgeous Hermitage Hotel) rather than just passing through. 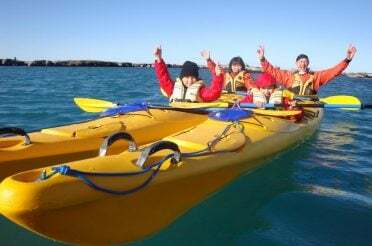 The Glacier Explorers Tour, included in the itinerary, is one of only three places in the world where you can see centuries-old icebergs up-close on a glacial lake, from the safety of a specially designed boat. 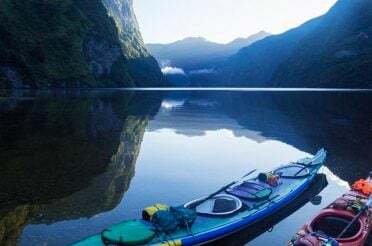 There’s also a day-long tour of Milford Sound, safari tour of the film sites around Isengard (Glenorchy), and a coach trip through the rugged beauty of the West Coast to Fox Glacier and Greymouth, from where you get the Tranz Alpine Scenic Train to Christchurch. Hands down the most picturesque way to travel, this is often named among the world’s best train journeys. A tour and tasting at one of New Zealand’s best breweries, Monteith’s, is a cheeky West Coast bonus option offered as part of the Tolkien’s New Zealand package (highly recommended, not only because you get to take home a personalised bottle of beer!). Red Carpet Tours offer a good do-it-all tour that packs in a lot of what’s mentioned above (minus the West Coast focus of the Tolkien package). As the name suggests, they take good care of you along the way. However, it’s not a fancy, luxury tour. 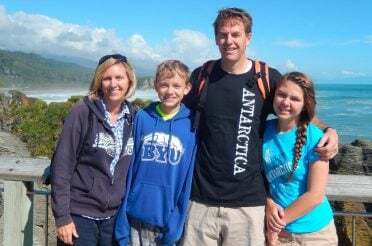 Far from it, it’s a solid choice for families with young kids traveling to New Zealand and solo backpackers wanting to latch onto a group holiday tour package. Again, anybody wanting more of a New Zealand Hobbit tour package rather than a LOTR one will find a few nuggets in this one. First of all, Trollshaws Forest in the North Island, where Gandalf gives Bilbo his iconic sword, Sting. Then the tour pulls in at Pelorus river, filming location of the barrel escape scene mentioned above, where you can do the Hobbit Kayak Tour to go down the exact river yourself (though at a much slower pace; no experience required). Finally, you’ll recognise the quaint wooden structures and peaceful setting of Tasman Downs Station as Lake-town from the Hobbit movies. If you’re short on time, or planning to begin your New Zealand LOTR/Hobbit tour from Wellington rather than Auckland, Red Carpet Tours offer that too. 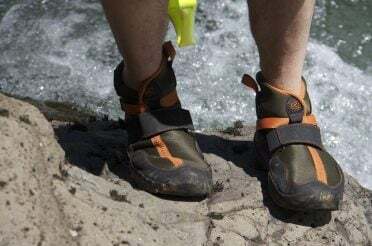 Just pick up their 10-day Lord of the Rings Hobbit South Island tour from Wellington, which includes a Cook Strait ferry crossing and the entire South Island portion of their full New Zealand tour package.